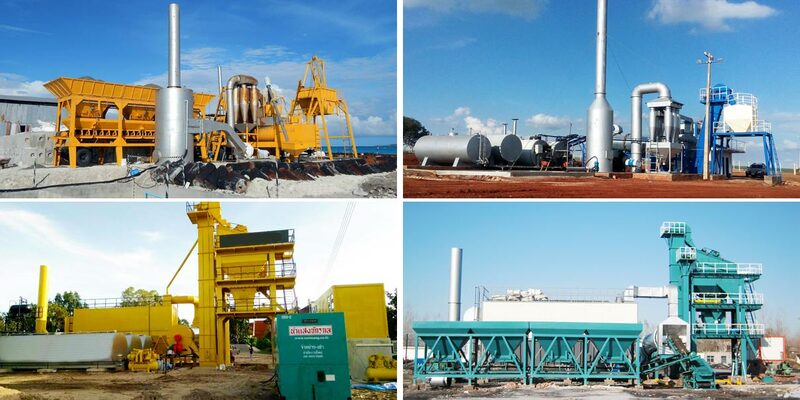 In the market, there are many types of asphalt plants for selecting. So when you decide to purchase your own asphalt plant, you may be difficult to choose an appropriate asphalt plant. Characteristics, advantages, size and styles are all should be taken into consideration. Only in this way can you buy asphalt plants matching your construction. 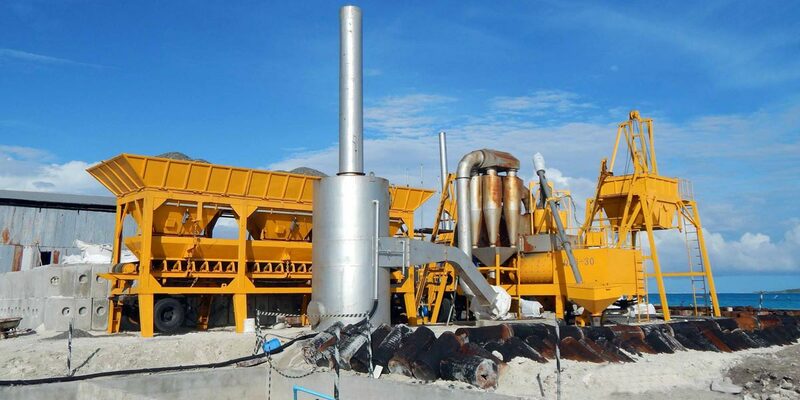 Our company has pushed out different kinds of asphalt mixing plant, including stationary type, mobile type, drum continuous type, intermittent forced type, portable type etc. There will be a full description about various types of asphalt plants. 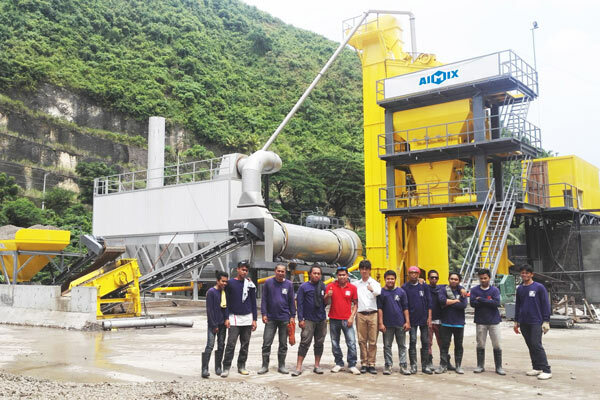 In Aimix Group, we devide asphalt mixing plant into LB series stationary asphalt plant, YLB series mobile asphalt plant, DHB series and QLB series asphalt batching plant. 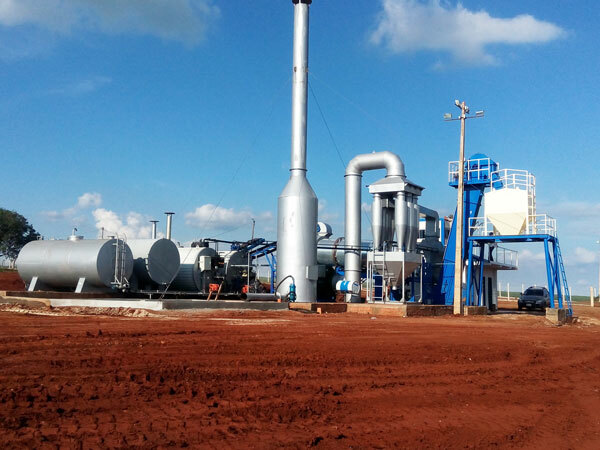 The following guide will help you have a good knowledge of asphalt mixing plant. 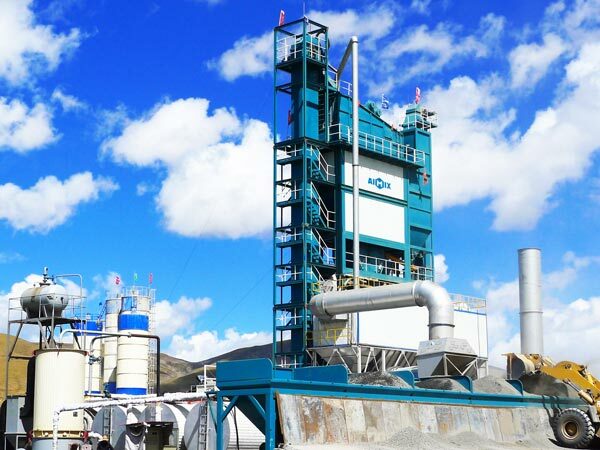 Same as the large asphalt batch plant, the stationary asphalt plant has large production capacity. The range is wider, from 40 t/h to 240 t/h. Obviously, the stationary asphalt plant can’t move during the construction process. The finished asphalt mixture has to be transported in long distance. The stationary asphalt plant adopts forced mixing modes, which can ensure asphalt mixture even and high quality. 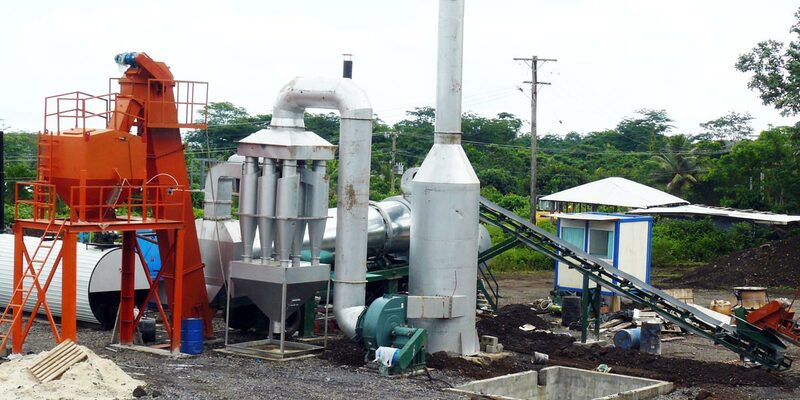 1)The stationary asphalt mixing plant is made in container units, which is easy to install. 2)The machine has equipped with automatic failure diagnosis, which can detect failure beforehand and reduce maintenance cost. 3)The belt conveyor is equipped with safety protection device, which can quickly break under the emergency condition. In addition, it has deviation-rectifying and clean device. 4)Many components have frequency controlling devices, which can adjust the processes automatically. 5)The adoption of international band FESTO makes pneumatic component reliable and efficient. The mobile asphalt hot mix plant is salable among our products. The unique advantage of movable is appealing to many customers. The mobile machine is mounted on movable chassis, which is convenient for moving and transporting. The equipment can be positioned in different place to reduce transporting distance and save construction time. The mobile asphalt plant has continuous type and batch type. 20 t/h to 80 t/h capacity is accessible to the continuous type, while the batch type has production capacity 10 t/h to 80 t/h. 1)The mobile asphalt mixing plant integrates the main parts into the trailer chassis. 2)The adoption of unique blades can ensure strong mixing strength. 3)Temperature measurement device installed on the outlet of drying drum can guarantee accurate hot aggregate temperature. 4)The dust collecting system can recycle coarse and fine dust, which can reduce environment pollution and increase material usability. 5)The mineral filler silo has arch broken device, which can prevent powder arching efficiently and ensure uniform and continuous filler supply. The drum asphalt mix plant is famous as continuous asphalt plant. It can keep continuous working condition. The drum continuous asphalt can integrate drying and mixing process together. The cold aggregate heating and asphalt mixture blending in the same dry mixing drum. The simplified processes can reduce time, labor and cost. It is very suitable to the construction sites where they need large volume asphalt mixture with relatively low quality. Our company has created mobile drum asphalt plant and stationary drum asphalt equipment for selecting. 1)The moisture of cold aggregate s removed with downstream drying mode. 2)The new aggregate is heated in the inner drum. The heated aggregate flows into the periphery of inner drum. 3)The hot aggregate weighs one time before poured into dryer drum. 4)The integrated dry mixing drum can reduce complex processes, which can ensure continuous asphalt mixture supplying. Relative to the drum continuous type, the forced asphalt plant has intermittence during production processes. 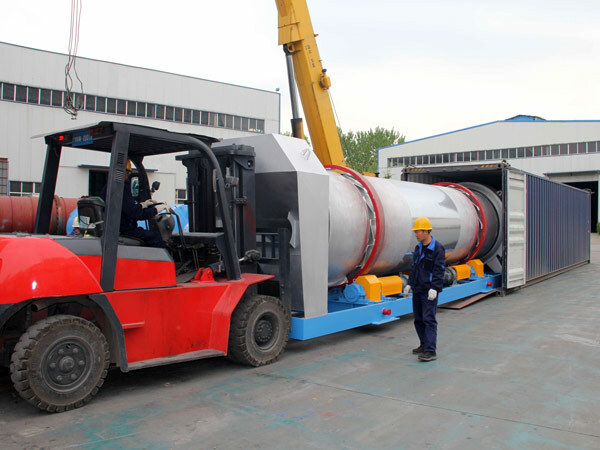 In addition, the forced asphalt plant processes the drying and mixing respectively in dryer drum and mixer. The batch mix asphalt plant can ensure material ratio with higher accuracy. Therefore, the asphalt mixture is more uniform due to intermittent mixing method. It only takes 40 seconds to finished one mixing cycle with high production efficiency. 1)Two kinds of dust catcher are accessible to the batch asphalt mix plant. 2)Alternative fuel of burner can meet customer’s demands. The coal burner and oil burner all can guarantee sufficient heat for dryer drum. 3)The adoption of chain board hot aggregate lifting can keep conveying steady. 4)PLC programmable control can ensure high automation, which can reduce labor and save time. 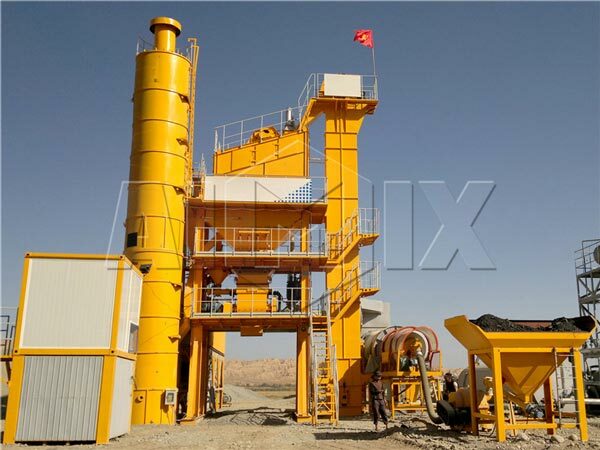 Also known as mini asphalt mixing plant, mini asphalt mixing plant is well-received in the small construction engineering. The small asphalt mix plant can adapt to various construction environment with its small occupancy and easy movement. The production capacity of 20 t/h to 100 t/h is very suitable for small medium construction, such as rural and urban roads, parking lots, airports and harbors. It is welcomed by customers due to its optimum capacity. 1)The machine has lower price, which can reduce the customers’ investment. 2)Frequently construction sites converting are feasible for the small asphalt plant due to small sizes. 3)The modular design makes the mini asphalt plant more flexible, which is easy to assemble and disassemble. 4)Compact structure, unique appearance and reasonable design make easy operation and maintenance. 5)The conduction oil system adopts international famous brand burner to guarantee accurate asphalt heating temperature.